Come to the Smoky Mountain Model A Club monthly meeting. The August meeting will be at Shoney's and starts at 6:30. Come early to eat and visit with other Model A Enthusiasts! This year the Smoky Mountain Model A Club will gather at Ted Russell Ford to celebrate International Model A Day. We will provide more details here as they become available. 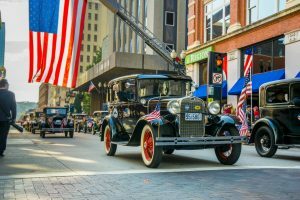 Smoky Mountain Model A Club will participate once again in the annual Veterans Day Parade along Gay Street, Knoxville, TN. More details will be shared here as they are available. Come to the Smoky Mountain Model A Club monthly meeting. 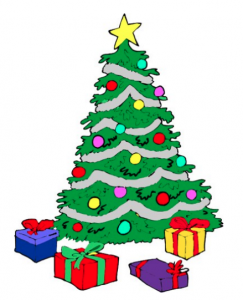 The November meeting will be at Shoney's and starts at 6:30. Come early to eat and visit with other Model A Enthusiasts! Come to the Smoky Mountain Model A Club monthly meeting. The January meeting will be at Shoney's and starts at 6:30. Come early to eat and visit with other Model A Enthusiasts! Come to the Smoky Mountain Model A Club monthly meeting. The February meeting will be at Shoney's and starts at 6:30. Come early to eat and visit with other Model A Enthusiasts! Come to the Smoky Mountain Model A Club monthly meeting. The March meeting will be at Shoney's and starts at 6:30. Come early to eat and visit with other Model A Enthusiasts! Come to the Smoky Mountain Model A Club monthly meeting. 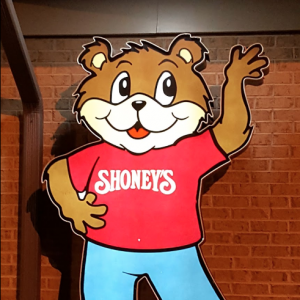 The April meeting will be at Shoney's and starts at 6:30. 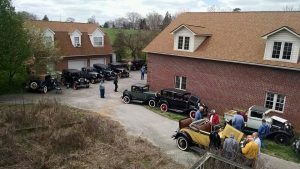 Come early to eat and visit with other Model A Enthusiasts!